Villa Giancarlo is nested on a hill surrounding Sivota Bay with beautiful views. While being located in the middle of the nature, it still offers easy access to the village of Sivota (just 1km away) full of fine tavernas, bars, bakeries or markets that are available all season long from 8am until 12am. 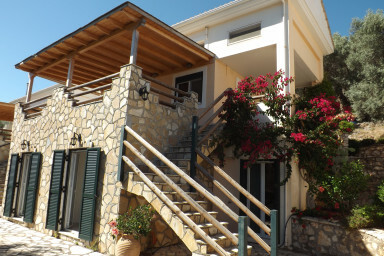 This original and charming villa, surrounded by Olive trees, offers a peaceful view on the Bay of Sivota. An outdoor terrace with a pergola to protect from a strong sun in the high season, as well as a curtain system to reduce the wind in the evening allow you to enjoy a nice breakfast/lunch/dinner with the scent of local herbs and flowers. A large parking spot besides the villa allows up to 3 cars to be parked. Villa Giancarlo is fully equipped and air-conditioned. Composed of 4 bedrooms - 2 with double beds, 1 with two single beds and 1 with a single bed, 2 bathrooms with shower and toilet in each, this villa will give you all the comfort to enjoy your vacation. The cleaning team is taking care of the villa once a week. Extra cleaning is possible on request. Villa Giancarlo is great villa for a peaceful holidays with your family and friends. Professional conciergery service is available during your stay. 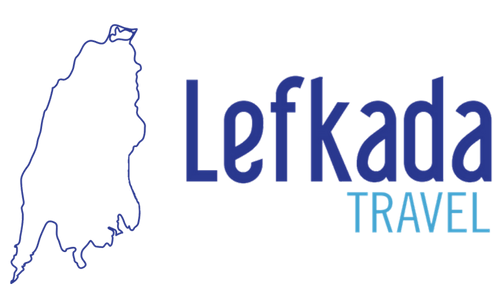 Our team will welcome you upon your arrival and answer all your questions and give you useful tips about the Island. Besides our 24/24 availability, we can assist you with all your activities, such as cars rentals, boats rentals, babysitting, chef at home, massages, yoga, mountain biking, sea kayaking, scuba diving, hiking or any other. After many years taking care of our guests, we developed a reliable network of local companies that offer the best quality service for you.